ONE! TWO! THREE! FOUR! 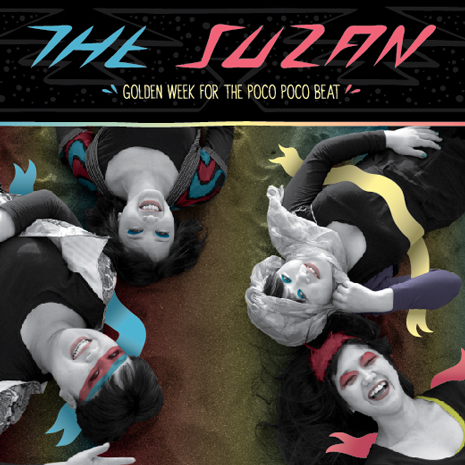 It’s the sound of The Suzan, a boundlessly energetic all-girl band from Japan making their international debut with the Fool’s Gold / Downtown release Golden Week For The Poco Poco Beat. Their irresistible charm captivated Bjorn Yttling of Peter, Bjorn and John – who they convinced to produce their album with a MySpace message – and tastemaking indie Fool’s Gold, who have previously introduced the world to artists as diverse as Kid Sister, Kid Cudi and Duck Sauce. 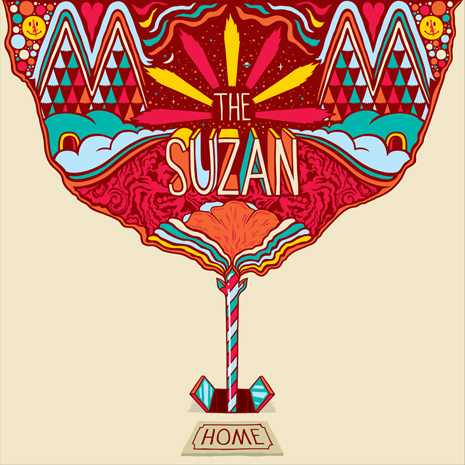 The Suzan LP is the first full-length release (and first band!) from Fool’s Gold. “Home” is a three-minute blast of xylophone riffs, surf guitar, and tom tom grooves; it is sweetly funky, hard-to-pin-down pop in the vein of ESG or early Violent Femmes, and sets the stage for the rest of the LP. Golden Week bounces from “Home”‘s effervescence to punky outbursts (“London Tonight”), moody jams (“Into The Light”), swaggering rock gallop (“Devils,” featuring backing vocals from Lykke Li) and everything in between. 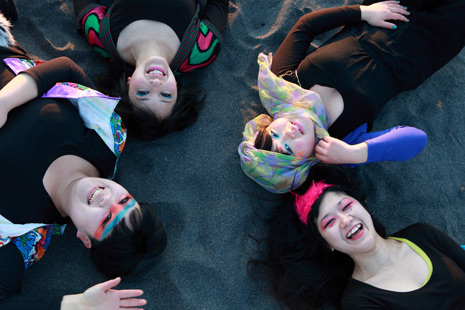 Prepare to be won over by one of the most unique groups out there. The Suzan "Ha Ha Ha"